Call it irony. Call it fate. Or, just how circumstances can ruin a good story, which is enough a nightmare for us journalists. Two days ago, the New Zimbabwe website carried an interview from a South African publication in which journalist Basildon Peta has a “chat” with MDC-T leader Morgan Tsvangirai. The interview was held before Tsvangirai was airlifted to South Africa for a serious medical situation, which confined him to a hospital for a week. Two weeks later, Tsvangirai has not healed and is convalescing at home (read somewhere in South Africa) amid grave indications that he is coming out worst. He will need our earnest prayers. This is how Basildon Peta’s interview gets ruined: in it Tsvangirai is claiming that he has “beaten” cancer and is raring to go and challenge for the Presidency. Reading the interview now, we know that this was at best wishful and at worst Tsvangirai was bluffing. The interview is purely academic now, which Peta may not have anticipated and has now decided to shove down our throats because he has to justify why he came all the way from South Africa. It hurts, we know. Tough luck! But since it is now moot, we may pick some gems from there for our discussion and one has to remark from the onset that the whole interview has a hint of farce, especially when it becomes clear that Peta is trying to glean something interesting from Tsvangirai — which he doesn’t get. He tries to make Tsvangirai bold, but the latter withers. He tries to blow the embers of Tsvangirai’s old coals, but Tsvangirai is cold. However, Tsvangirai is just cold, but not dead yet. He has hopes. He believes he can win in 2018, telling his interlocutor that “There is a serious paradigm shift. Tsvangirai adds that he will win elections and there will be transfer of power. But Peta is not convinced and is exasperated even. “Aren’t you being naive, Mr Tsvangirai? You will still be dealing with the same Robert Mugabe who murdered hundreds of your supporters after you won the first round of voting in 2008, forcing you to withdraw from the run-off vote?” he asks. Peta is not convinced and fears Tsvangirai could “be co-opted into another GNU” even if he were to win. Poor Peta! We are sure he was seeing the worst, as just as the man he was interviewing is on his sick bed now. For the benefit of the reader who may not be too familiar with the Bible, Joshua was a lieutenant or aide of Moses who was charged with taking God’s people of Israel to the Promised Land of Canaan. The Israelites had spent 400 years in Egypt and were to spend another 40 years in the wilderness. However, Moses who took the people out of Egypt was punished by God for his disobedience and was destined not to see Canaan. This moment is captured in Deuteronomy 32:48-52. It says “On that same day the Lord told Moses, ‘Go up into the Abarim Range to Mount Nebo in Moab, across from Jericho, and view Canaan, the land I am giving the Israelites as their own possession. There on the mountain that you have climbed you will die and be gathered to your people, just as your brother Aaron died on Mount Hor and was gathered to his people. This is because both of you broke faith with me in the presence of the Israelites at the waters of Meribah Kadesh in the Desert of Zin and because you did not uphold my holiness among the Israelites. We are told that on the eve of his death, Moses asked God to provide a successor to lead the people after his demise and God directed him to Joshua, whom He had already been preparing for many years. Joshua had had important lieutenancy since, as we discover, he had accompanied Moses to receive the Ten Commandments and he was Moses’ military commander. Scholars tell us that “If Moses is the symbol of deliverance, then Joshua is the symbol of victory”. The story of Joshua is a story of succession. And in light of the illness of Morgan Tsvangirai, the issue of succession has just been kindled and, ladies and gentlemen, it will soon rage uncontrollably. Nelson Chamisa is positioning himself to take over from Tsvangirai. He is one of the three vice presidents of the party along with Thokhozani Khupe and Elias Mudzuri. 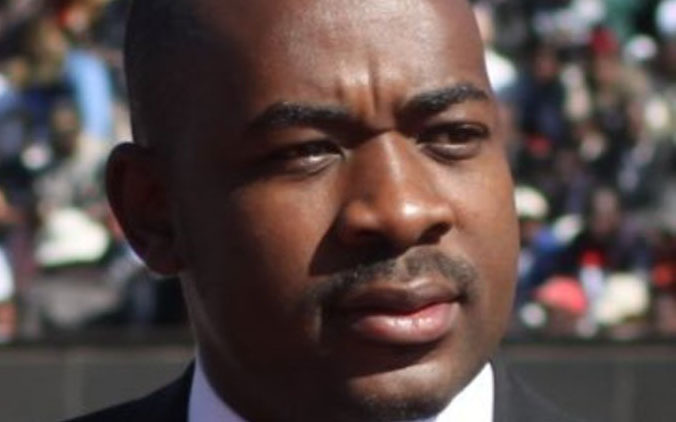 Chamisa is widely believed to be Tsvangirai’s dying-day successor. He knows it. He feels it, too. Over the past few days of Tsvangirai’s evanescence (well, on the bigger picture), Chamisa has been growing in confidence that he is the successor. Some people have already endorsed him and have been calling him “president Chamisa”. His admirers are many, including those from outside his party. Chamisa, a student of the Bible, knows the story of Joshua only too much. Actually, for some years now, he has been talking about a “Joshua generation”. His time is at hand. Only, there is bound to be a lot of problems for him ahead and the battle is going to be nasty. Just take a look at the social media and see how the wars are beginning to rage. First of all, there are some passionate people who are not welcoming the idea of succession. They are for Tsvangirai — Tsvangirai chete chete — and see any manoeuvres to succeed him now as high treason. Secondly, there are members who like other candidates such as Madam Khupe, largely for regional political purposes. Third, there are some people who distrust Chamisa and tend to think that he is linked to Zanu-PF, or a faction thereof. He is being accused of being CIO (which must be a bad thing). The support he is earning from neutrals and enemies is being held up as evidence of how he is a “Zanu-PF project”. Fourth and most importantly, there are some top officials within the ranks that are vowing never to see a Chamisa presidency. They simply dislike him, nay resent him. They have begun activating systems to wreck Chamisa’s ambitions. Chamisa is seen as naïve and excitable and his weaknesses are known. He can be toppled by some real, dirty politics. The times ahead are surely interesting. Yes, there was a mini crisis last weekend as Zimbabweans panicked at “the return of 2008” following a combination of false reports about shortages and price hikes and retailers who took advantage of the alarm to fleece off consumers. The black market surged as dealers sold cash and caused the skyrocketing of exchange rates. For a moment, a seeming dark cloud engulfed the country. Expectedly, opposition forces rubbed their hands in glee in anticipation of an economic collapse. In Zimbabwe politicians in the opposition thrive on the suffering of the masses, something that sanctions imposed on the country by the West have fantastically aided. A breakdown of the economy presents good hope for protest votes, which is why one Fadzayi Mahere urged citizens not to “waste this crisis”. 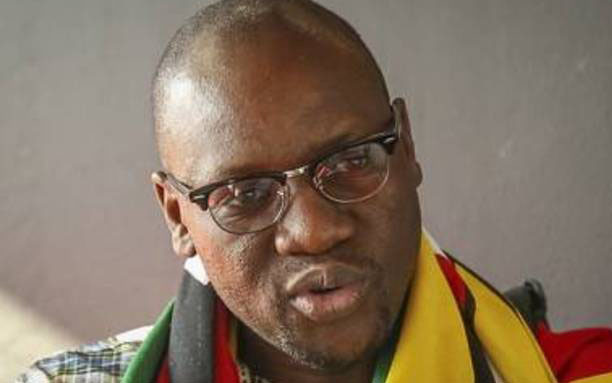 It was not a surprise then that we saw the re-emergence of the “flag pastor”, Evan Mawarire, who recorded a video urging people to rise against the Government. He was obligingly arrested by the police who, we must add, appear to do the wrong things at the wrong time all the time when it comes to handling public dissent due to their heavy handedness an often dumb reactions. Mawarire got what he wants. Those of us with just enough history immediately call to mind former South African President Nelson Mandela giving a political speech during his so-called Rivonia trial 53 years ago. Mawarire’s quote is obviously a poor imitation of Mandela. But it is instructive. What we have also learnt from this episode, which we give freely as advice, is that authorities are not being smart by issuing not so clever sounding statements at this point in the 21st century.